The BJP ally said those who posed a threat to the country’s security must be thrown out and the infiltrators in Kashmir must be eliminated. 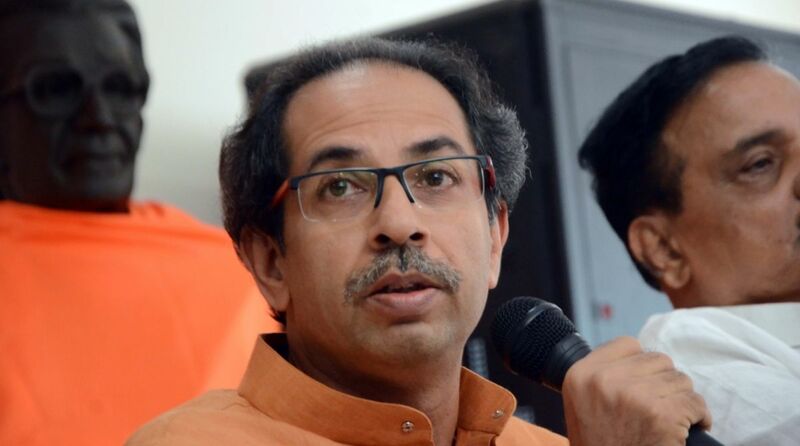 The Shiv Sena today came out in support of the Modi government over the draft National Register of Citizens (NRC), but asked whether the Centre also had the courage to ensure the “ghar wapsi” of displaced Kashmiri pandits. The party said abolition of Article 370 of the Constitution, which gives special status to Jammu and Kashmir, was as much a nationalistic work as implementing the NRC list. “The BJP is working hard to throw out the 40 lakh infiltrators in Assam. Driving out such illegal immigrants is a patriotic work and we congratulate the central government on it. Illegal residents, whether they are Bangladeshis, Sri Lankans, Pakistanis or Rohingya Muslims of Myanmar, they must be thrown out of the country,” the Sena said in an editorial in its mouthpiece ‘Saamana’. “If what is happening in Assam now had happened in Kashmir as well, people across the country would have hoisted the saffron flags of Hindutva atop their houses,” it added. The release of the final draft of the NRC in Assam has triggered a massive political firestorm with both the ruling BJP and the Opposition, led by the Congress, trying to corner each other. Names of over 40 lakh people in Assam have been excluded from the NRC, prepared following a long-drawn process to identify people living in the northeastern state illegally. While the opposition parties have accused the BJP of making Indian citizens refugees in their own country, the saffron party said national security was its top priority and the opposition was spreading misinformation. “The issue of national security is not only restricted to the 40 lakh infiltrators in Assam. The situation in Kashmir is worsening day by day. There is more threat from Pakistan, where military rule is imminent under the leadership of Imran Khan. “Forty lakh illegal foreign residents in Assam have changed the geography, history and culture of that state. The same is happening in Kashmir. Will the government show the courage of ensuring the ‘ghar wapsi’ (return) of 1.5 lakh displaced Kashmiri pandits the same way it is throwing out the illegal citizens in Assam?” the Sena asked. The Uddhav Thackeray-led party stated that the issue of Kashmiri pandits was not just about Hindutva, but it was important in terms of national security and the Hindu culture. “Hindus were driven out of Kashmir using terrorism. The Modi government should have rolled out the red carpet for the Kashmiri pandits. But instead of doing that, the current dispensation has pulled the rug from under their feet,” it said. “Former Prime Ministers Indira Gandhi, Rajiv Gandhi or Manmohan Singh did not promise to abolish Article 370 from the Constitution as they were weak-natured. But after Narendra Modi came to power, he promised to abolish Article 370 and hoist the tricolour in Kashmir,” it said. “Abolishing Article 370 is as much a nationalistic work as the implementation of the NRC. 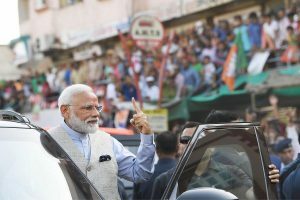 Modi should be congratulated for taking up the issue in Assam, but he should also act against the infiltrators in Kashmir, those burning the national flag and waving Pakistani flags there,” the Sena said.